Something for Everyone, A place for everything. 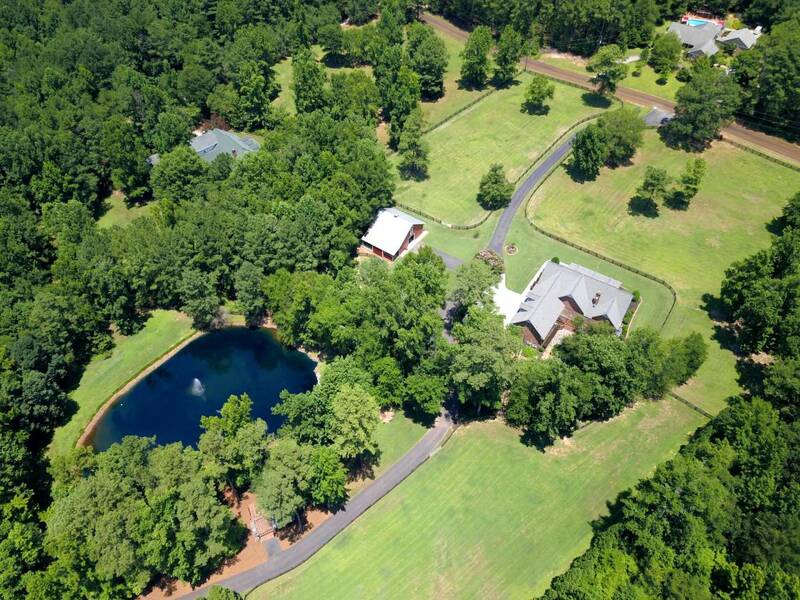 This picturesque country estate has charm & style 1-hr NE of Atlanta. Renovated 4BR (2 masters)/3.5BA 3-car garage. 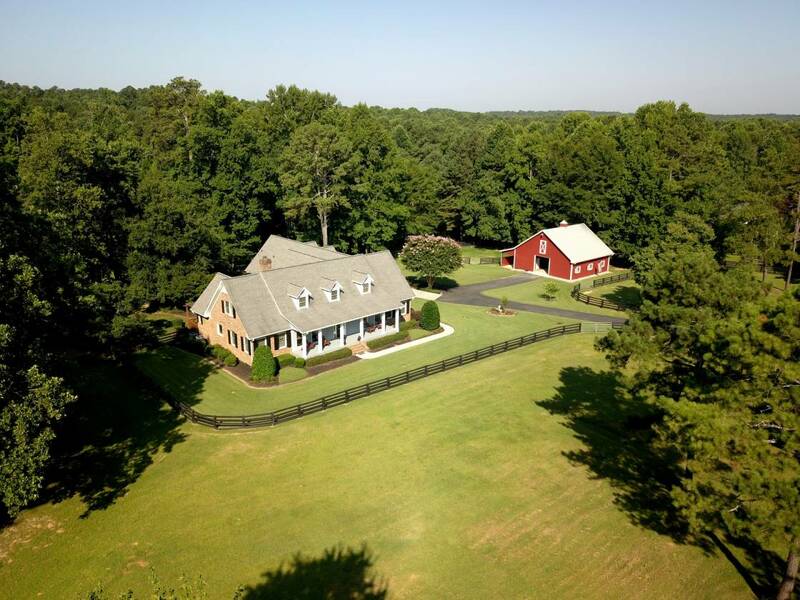 Custom 4-stall barn,3 pastures,2 shaded dog areas,screened deck outdoor kitchen by fishing pond, dock, stream, fountain & fire pit. Hidden in back 2 buildings; a dream work shop 40x70, 4 bays, 8x16 roll doors &5-bay covered parking. 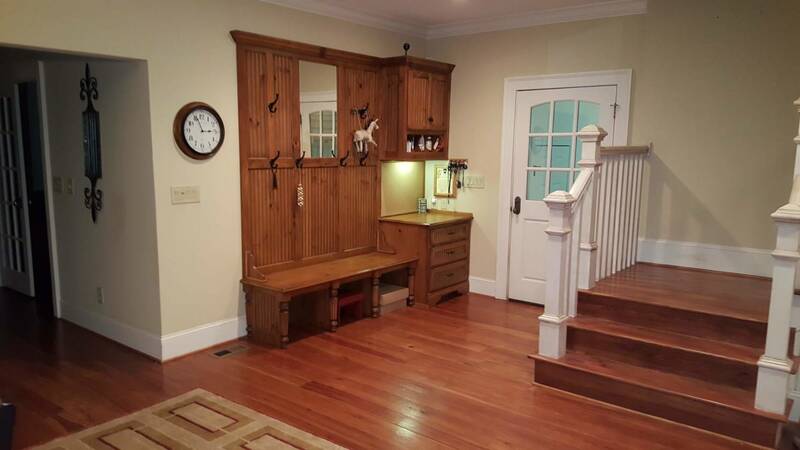 Quality from crown moldings, cabinets, counters, hardwoods to encapsulated crawlspace. Main level-Master Suite, lux BA, 2 custom closets. Flowing open floor plan from FR,DR w/view to lg chefs kitchen. LR w/fireplace, French doors to library. Lg. laundry w/sink&cabinets. 2nd floor-2nd Master Suite w/FBA, cedar closet, plus 2BR, 1FBA. Game rm. & Gym. Nice front & back porches. Platinum Warranty. 4557 SF Renovated home. Everything is custom and very tasteful. Must see to appreciate. Built to be a 'forever' home. Area over 3 car garage built as game/rec room with separate gym. Central vac system. Generator with connection to junction box for emergencies. 40x70 dream shop incl. 4 bays with 8x18 roll doors, multilevel work benches. 110 outlets and 50V hookup. Man care/office area, stairs to overhead storage, insulated ceilings, bright overhead lighting, air pressure tank. 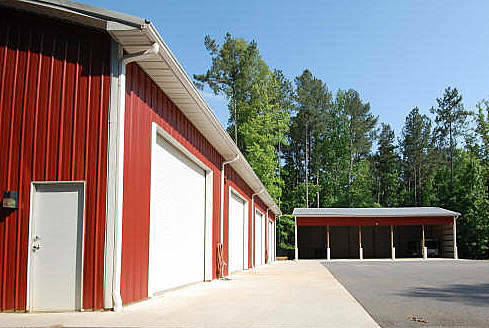 Additional 5 bay open covered parking, great for tractors, horse trailers, tools, etc. 11.38 acres, gently sloping, no steep grades. Wooded area at back of property with dirt road with areas to deposit lawn debris and horse manure away and out of sight. 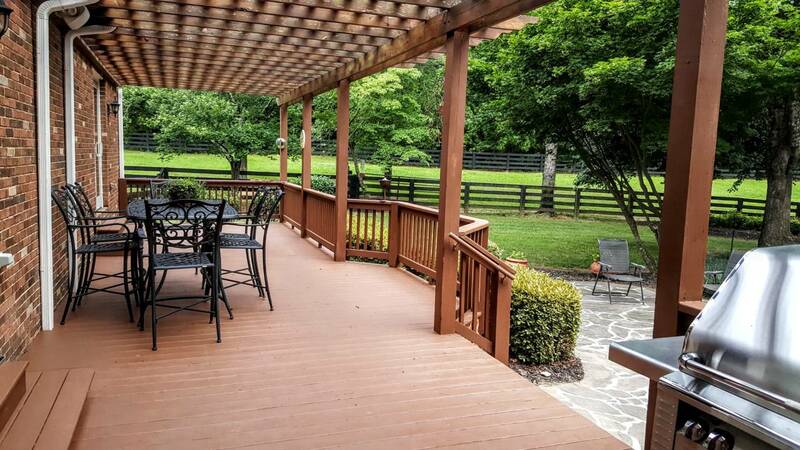 3 black wood fenced pastures in front and side of property each 1-1.5 acres, each pasture has water access and gates. 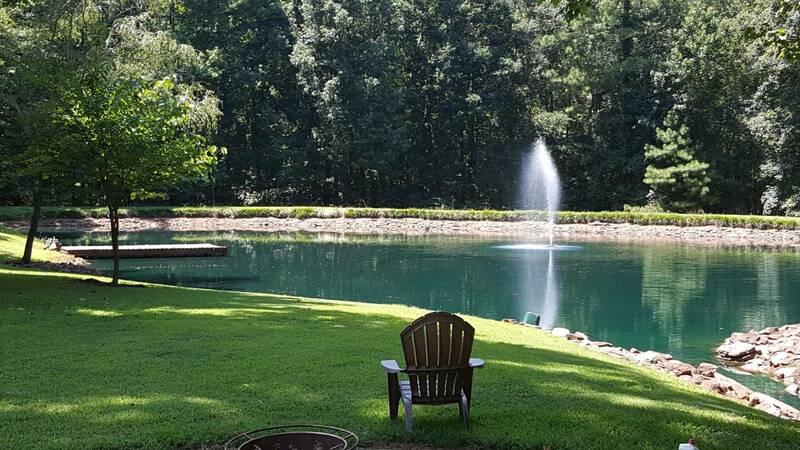 1/2 acre fishing pond with dock, fountain and stream. 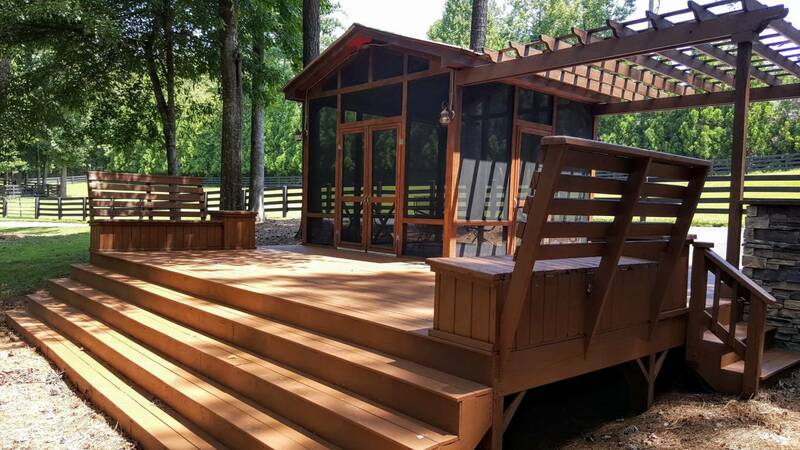 Large deck with screened room and outdoor grilling area over look the pond and dock. 2 large fenced, shaded dog areas, one attached to the back of the house and the other on the back corner of the barn, so animals have fans, shelter and shaded areas when necessary. 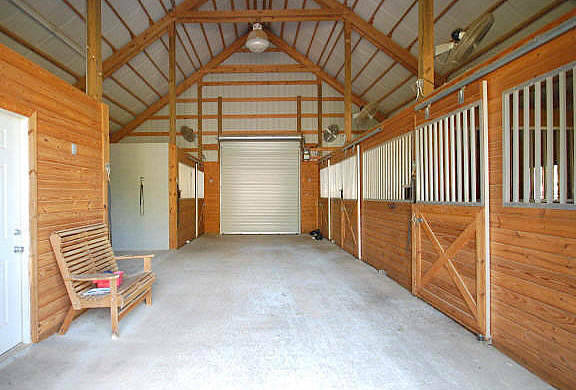 4 stall barn with hot water heater, electrical outlets, stall and overhead lights, individual stall fans, fly spray system, concrete floors, shavings shed, tack room with saddle stands & refrigerator, 4 water connections, front and rear roll doors with electric door openers, roof fan, insulated ceiling, round pen, 3 pastures. Round pen adjacent to barn.